PAYware CMS is a secure credit card payment system, supporting all aspects of credit card payments, from authorization through to settlement. Verifone required a COBOL solution that would offer a seamless transition from Micro Focus COBOL with lower costs, high performance, reliability and responsive technical support. Verifone Systems, Inc. (NYSE:PAY) and COBOL-IT have signed an OEM agreement. This global OEM agreement allows Verifone to build the COBOL portions of their software application directly into their PAYware CMS platform and distribute it directly to their customers. Users of the latest releases of PAYware CMS are no longer required to deal separately with COBOL vendors. Users of PAYware CMS benefit from lower costs, simpler commercial arrangements and single points of contact for product installation and maintenance. The OEM agreement applies globally to PAYware CMS products available on all Windows, UNIX and Linux platforms, including z/Linux. “We are extremely pleased with the results. The high compatibility of the COBOL-IT Compiler Suite with other COBOL compilers allowed our development team to complete the transition in less than 6 months”. Verifone’s PAYware CMS is an enterprise software that provides the scalability, flexibility and configurability to manage any inhouse merchant acquiring or card issuance program including private label, stored value/loyalty and prepaid cards schemes. In a unique and consolidated platform, PAYware CMS supports all aspects of card and merchant management, risk assessment, payment authorisation, clearing and settlement. And it supports multiple languages and currencies, so you can deploy programs across the globe. Working with technical resources from COBOL-IT, Verifone was able to establish proofs of concept and achieve a high level of confidence that the migration would be successful with very few changes to their source code. The Commercial terms, which included an OEM agreement, greatly lowered the costs of integrating COBOL components with the PAYware CMS release. The COBOL-IT solution needed to be equal or better than existing solutions, providing identical functionality and meeting the same high standards of performance and reliability. The integration needed to be completed on time and within budget. Finally, COBOL-IT had to be able to provide solutions on all Windows, UNIX and Enterprise Linux platforms, including z/Linux. The Verifone and COBOL-IT technical teams quickly developed an excellent working relationship. Extensive performance tests were analyzed and the teams collaborated on fine-tuning the application. Altogether, an intense effort that included proofs of concept, extensive unit tests and performance tests, took less than 6 months. Over this same period, commercial teams worked together on the OEM agreement, which covers the full range of commercial offerings provided by Verifone. Customers and Shareholders benefit from Verifone’s increased ability to control costs. User benefits also include lower costs, simpler commercial arrangements and single points of contact for product installation and maintenance. “Verifone is a global leader in the area of secure payment technologies. COBOL-IT’s solutions will provide them with the performance, reliability and interoperability that they require at a fraction of their former costs. This translates into a big win for Verifone, COBOL-IT and the entire Verifone customer base”. With COBOL-IT’s solutions, users of PAYware CMS benefit from lower costs, simpler commercial arrangements and single points of contact for product installation and maintenance. COBOL-IT is the first company to offer a high quality, professional COBOL compiler to large enterprises seeking to migrate, deploy and maintain their COBOL applications at the lowest cost and lowest risk. Founded in 2008, COBOL-IT has rapidly assumed a position of leadership in the global COBOL community, migrating hundreds of customers, with hundreds of thousands of users and hundreds of millions of lines of COBOL code. With a robust product suite and a proven migration process, the company provides solutions that allow their clients to preserve the functionality of their strategic COBOL applications, with superior performance, agility and a significant reduction in costs. Technical Hubs located around the world allow COBOL-IT to guarantee that all of our clients have access to expert, responsive technical support. Partnership agreements between COBOL-IT and the leading providers of technical services and software solutions in Open Systems ensure that moving to COBOL-IT can be accomplished at low cost and low risk everywhere in the world. For more information, visit www.cobol-it.dev. Headquartered in San Jose, California, Verifone is the leader in providing trusted, secure and innovative payment terminals, global payment as a service and commerce enablement solutions that create more valuable experiences and rich interactions between consumers and merchants. The company’s products and services include mobile, countertop and selfservice payment devices, software and web-based gateways. 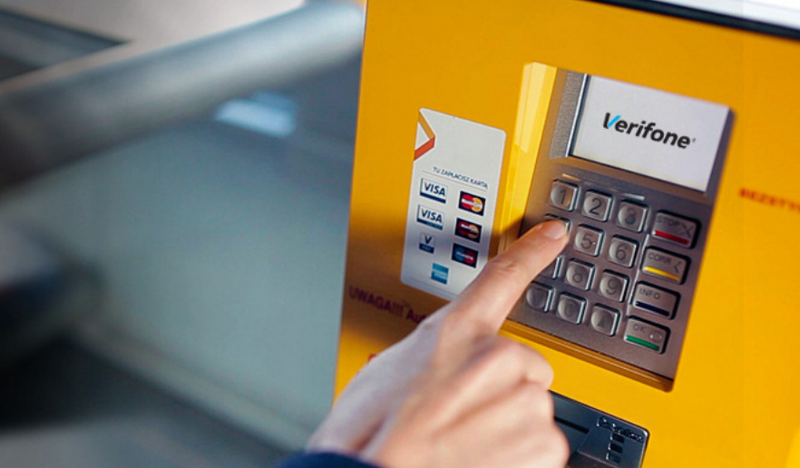 With 5,300 employees worldwide and partnerships with local distributors, Verifone is able to deliver innovative payment solutions in 150 countries and across vertical markets.